This Web site is offered to you, the customer by Change Mates and the Change Mates branch office in your country. Your use of this Web site and/or your acceptance without modification of the terms, conditions, and notices contained herein constitutes your agreement to all such terms, conditions, and notices. If you do not agree with these terms and conditions then you are not authorised to use this Web site. All contents of this Web site are: Copyright ? 2014 Change Mates. All rights reserved. Change Mates and our logo are trademarks or registered servicemarks of Change Mates. Work & Travel and other names of Change Mates products and/or services referenced herein are property of Change Mates. The information, products, and services published on this web site may include inaccuracies or typographical errors. Changes are periodically added to the information herein. Change Mates, its affiliates and/or its respective suppliers may make improvements and/or changes in this web site at any time. Change Mates and/or its respective suppliers make no representations about the suitability of the information, products, and services contained on this web site for any purpose. Change Mates shall use reasonable care and skill in carrying out the services contained in this web site. Change Mates, its affiliates, and/or its respective suppliers hereby disclaim all warranties, terms and conditions with regard to this information, products, and services, including all implied warranties, and conditions, of merchantable quality, fitness for a particular purpose, title, and noninfringement. In no event shall Change Mates, its affiliates and/or its suppliers be liable for any, indirect, incidental, punitive, special, or consequential damages arising out of or in any way connected with the use of this web site or with the delay or inability to use this web site, or for any information, products, and services obtained through this web site, or otherwise arising out of the use of this web site, (including, but not limited to loss of use, data, profits, savings or opportunities), whether based on contract, tort, strict liability or otherwise, even if Change Mates, its affiliates, or any of its suppliers has been advised of the possibility of damages. Except in relation to liability for death or personal injury for which no limit applies. Change Mates, its affiliates and/or its respective suppliers shall be liable for direct loss arising out of the use of this web site, whether based on contract, tort, strict liability or otherwise, up to a maximum of the total value of the transaction under which the claim arises for any one event or series of connected events. This does not affect your statutory rights as a consumer. As a condition of your use of this Web site, you warrant to Change Mates that you will not use this Web site for any purpose that is unlawful or prohibited by these terms, conditions, and notices. You acknowledge that all Forums are public and not private communications. Further, you acknowledge that chats, postings, conferences, and other communications by other users are not endorsed by Change Mates, and such communications shall not be considered reviewed, screened, or approved by Change Mates. Change Mates reserves the right for any reason to remove without notice any contents of the Forums received from users, including without limitation bulletin board postings. Change Mates reserves the right to deny in its sole discretion any user access to this Web site or any portion thereof without notice. Change Mates reserves the right to change the terms, conditions, and notices under which this Web site is offered. Change Mates welcomes your questions and comments about privacy. Should you have any questions or concerns about our privacy policies, please use our feedback form. 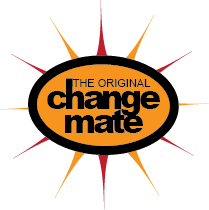 Change Mates is a registered trade mark.